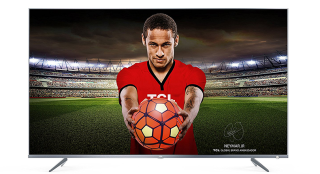 Amazon Bank Holiday deal: Get a 65in 4K TV for £749 this weekend | What Hi-Fi? Get a 4K HDR television with Netflix and Amazon Prime at a knock-down price. 2018's spectacular summer of sport may be over, but with more 4K Blu-rays available and all the best TV shows on BBC iPlayer, Netflix and Amazon Prime Video, there’s never been a better time to welcome a 4K TV into your living room. And Amazon has just the Bank Holiday deal to tempt you to bag a big-screen TV: a 65in 4K TCL TV for £749 - down from £900. The deal is running now until 11:59pm on Wednesday 29th August.